Rosco has played across the globe at sold out venues in LA, Ibiza, Paris, Brazil and Cuba plus he completed six tours of Japan. Aged 19 Rosco was resident at the legendary Manumission and played at iconic clubs such as Space in Ibiza. 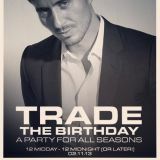 His main long standing residency is at London&apos;s techno pioneering first ever after-hours club Trade. He released first single &apos;Archean&apos; in 2011 on Toolbox records and more tracks are the in the pipeline. 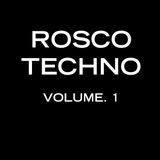 Rosco&apos;s sound ranges from pumping house to techno. His sets always have a sexual edge aimed purely at the dance floor. Rosco&apos;s sound has been described as intelligent and forward thinking with a sense of the original sound of house, techno and rave. 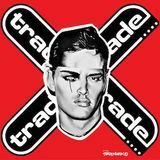 Rosco was Trade&apos;s main tour DJ from 2001-2004 and he held consecutive residencies at Trade LA at Avalon, Trade Ibiza at Privilege and Trade Paris at Queen.